Are you Searching Jobs In Delhi Metro (DMRC) ??? If yes then here is a important News For you. Delhi Metro Rail Corporation has now declared notification for recruiting candidates on 1896 Jr engineer, Maintainer, Asst Manager & Other Vacancies. 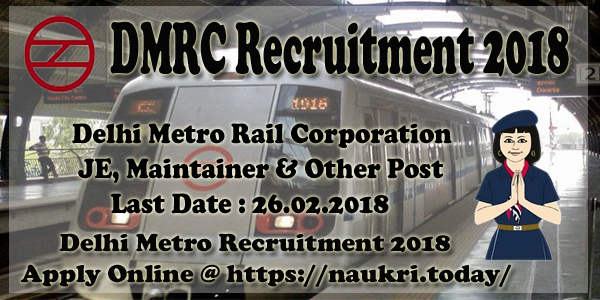 All the applicants who are interested in DMRC Recruitment 2018 can submit online form for Delhi Metro Vacancies from here. Starting date of Online registration has been started from 27.01.2018. You can filling up online form for DMRC Vacancies till the last date 26.02.2018 (extended till 12.03.2018). Delhi Metro Recruitment Notification of 1896 JE, Maintainer Jobs has released Now. This is great job opportunity for all the candidates who are waiting for DMRC Jobs Notification. Eligible candidates can submit online form for Delhi Metro Jobs 2018 till the last date. 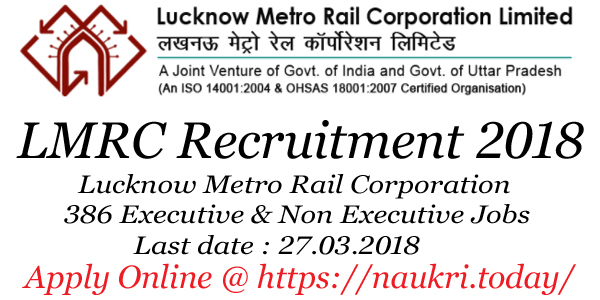 If you are going to filling the online form then check required Eligibility Criteria with Pay Scale & Selection method for DMRC JE Recruitment 2018 from below article. Fresh Update as on 20.02.2018 : Dear Applicants, DMRC has now extended the date for filling online form. Candidates can now fill online form till 12.03.2018. Link of Applying DMRC Recruitment online form is mention below. Fresh Update as on 29.01.2018 : Dear Applicants, DMRC has also released 88 Various Vacancies for SC/ST category candidates under Special recruitment Drive. Check Notification & Fill Online form here. Rest of details about DMRC vacancies for 1896 JE & Other post you can collect from below article. How Can I Check required Exam Fees, Pay Scale & Selection Criteria For DMRC Recruitment 2018 ? What is the required Application Fees For DMRC Recruitment 2018 – Delhi Metro JE Online form ? How I Fill Online Application Form For DMRC Recruitment 2108 – Delhi Metro Jobs Online Application ? Dear Applicants, in this section we are providing Regular & Contract Basis Vacancies of DMRC. You can also check Section wise division of DMRC Vacancies from below section. More information you can collect from official notification. Last Date for submit DMRC Jobs Online Form : 26.02.2018 (extended till 12.03.2018). If you going to fill online form for DMRC JE Vacancies then read the below section. This section is providing Eligibility Criteria which is required for filling Delhi Metro recruitment Online Application. Further information is also available in Official Notification. Applicants who are going to fill online form for DMRC Vacancies must check required education qualification from below section. Assistant Manger : GATE 2017 Qualified with 60% in Respective B.E./B.Tech Degree. DMRC JE Bharti : 03 years Diploma in respective Engineering Trade or higher qualification for this Vacancies. Maintainer : ITI In respective Trade for DMRC Maintainer Recruitment 2018. Remaining Vacancies : Candidates can check other vacancies qualification details from official notification which is shown below. Minimum age of the candidates for DMRC Recruitment 2018 must be 18 years & Upper age must be 28 years as on 01.01.2018. Relaxation in age for Delhi Metro Rail Recruitment 2018 is applicable up to 05 years for SC/ST Category, 03 years for OBC Category & for other category read the official notification. Assistant Manager : Rs. 20,600/- to 46,500/- per month. Junior Engineer : Candidates will paid Rs. 14,000/- to 26,950/- per month for DMRC JE vacancies. Asst Programmer & Legal Assistant, Fire Inspector, Librarian : Rs. 14,000/- to 26.950/-. Maintainer : Rs. 10,170/- to 18,500/- per month for Delhi metro Maintainer Jobs. Candidates of General/OBC Category need to pay Rs. 500/- as application fees for DMRC Maintainer Online form. Other category candidates must paid Rs. 250/- for filling online form for Delhi Metro Jobs. Fees must be deposit through online mode on or before the last date. Selection of the candidates for DMRC Maintainer Vacancies will based on Department exam Scheme. List of Selected candidates will made on the basis of Written Exam/ GD/PI & Medical exam. Full details about Selection Criteria you can check from official notification or by reading DMRC Syllabus 2018. Exam is likely to held in the month of March 2018, DMRC Recruitment Call Letter will issued 20 days before exam. Candidates re eligible & Interested in DMRC Vacancies 20128 can fill online form here before the last date. here in the below section we are providing step by step process of applying online form for Delhi Metro recruitment 2018. Follow the steps while filling Delhi Metro Rail Jobs Online form. First of all candidates log on to the official website www.delhimetrorail.com. Now click on Career Section & then click on official DMRC JE Jobs Advertisement Link. Read all details mention in notification properly. Fill all required information in form. Then upload your photo & signature in form. Check all details filled in form before submission. Now deposit application fee & click on submit button. Take print out of Delhi Metro Maintainer Jobs Online form for future use. Conclusion : DMRC Recruitment 2018 For 1896 JE, Maintainer & Other Vacancies. Candidates can fill online form for Delhi Metro Maintainer Vacancies on or before the last date that is 26.02.2018 (extended till 12.03.2018).. Check more information about DMRC Online Form by reading official Notification. Here is a great/ Excellent job opportunity for all Diploma/ Degree Holder Candidates. Delhi Metro Rail Corporation is giving you a golden chance to apply against 3428 JE, CRA, Maintainer & Other Vacancy. Applicants who are looking for Delhi DMRC Recruitment 2016 should apply online application before the last date. Check Eligibility Criteria & Other Condition before applying DMRC Jobs Application Form. Interested candidates can fill the online application for Delhi Metro Vacancy 2016 – 17 on or before the date 15.10.2016. Delhi Metro Rail Corporation (DMRC) is inviting online application for those candidates who are searching Delhi Metro Latest Jobs 2016-17. The Department has declared 3428 Junior Engineer, CRA, Maintainer & Other Post. Applicants who are waiting for DMRC Recruitment Notification 2016 should apply online application before the closing date. To get more details for DMRC Jobs 2016 like Education Qualification, Age Limit etc. you can check from given details. For Asst. Manager Post : Applicants should have done Bachelor’s Degree/ MBA in relevant trade for Delhi Metro Manager Vacancy 2016. Account Assistant Post : B.Com or equivalent qualification should required for Assistant Accountant Vacancy in Delhi Metro. For Maintainer Post : Candidates who are going top apply for DMRC Maintainer Recruitment 2016 should have passed Intermediate/ ITI in relevant stream from recognized Institute. For JE, CRA, SC/TO Post : Minimum education qualification for DMRC JE Post or Other should 3 years engineering Diploma/ Higher qualification. Required Age Limit For DMRC Maintainer Vacancy 2016 : minimum age of the candidates should 18 years & Maximum age should be 28 years as on 01.07.2016 for DMRC Recruitment 2016 – 17. Age relaxation will applicable up to 05 years for SC/ST Category & 03 years for OBC Category candidates. For Assistant Manager Post : Rs. 20,600/- to 46,500/- will be paid for Delhi Metro Assistant Manager Jobs. 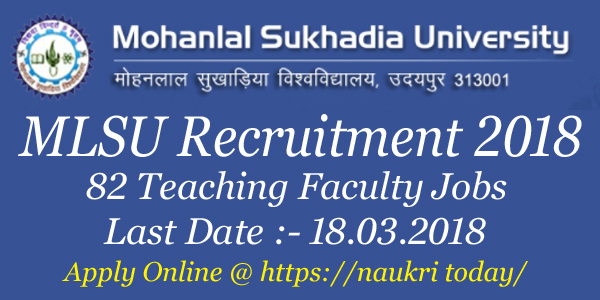 For Junior Engineer & Station Controller Post : Candidates will be paid Rs. 13,500/- to 25,520/- for these post. For Customer Relations Assistant Post : Rs. 10,170/- to 18,500/- will be paid for DMRC CRA Jobs 2016. For Maintainer Post : Applicants will be paid pay band Rs. 8000/- to 14,140./- per month. Application Fee DMRC JE Vacancy : General/ OBC Category candidates should be paid Rs. 400/- for DMRC electrician Vacancy & Other Post. SC/ST/PWD Category candidates must paid Rs. 150/- for Apply online application for Delhi Metro jobs 2016 – 17. DMRC Vacancy Selection Method : Applicants will be selected on the basis of Written exam & Interview for Delhi Metro Vacancy 2016/ DMRC Recruitment 2016. Selection of the candidates for DMRC Maintainer Vacancy 2016 & Other Post will be based on Written Examination. The Examination will held in two parts. Candidates will selected on the basis of merit list. After that the selected candidates will called for GD/ Interview/ Medical Examination round. The DMRC admit card for Various post will published on official website before 10 days of examination. You can check full details for Syllabus & Exam Admit Card either from official website or from here. keep visit this page for future updates. First of all visit the official DMRC website. After that click on Official DMRC Notification link & Read it carefully. If you are eligible than cl;ick on apply online link. Deposit application fee & Take print out of application form. DMRC Recruitment 2016 – 17 for 3428 Maintainer, CRA, JE & Other Post. Candidates should apply online application for DMRC CRA Vacancy 2016 on or before the last date 15.10.2016.